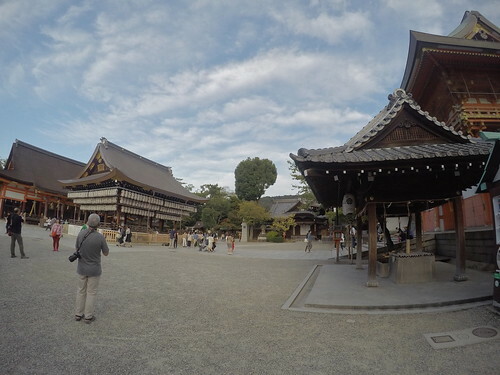 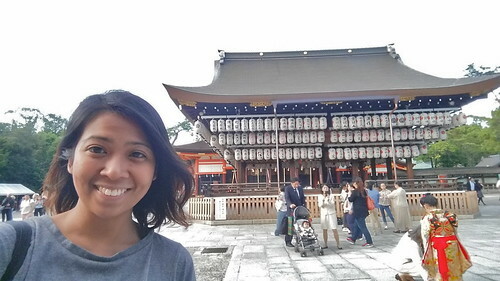 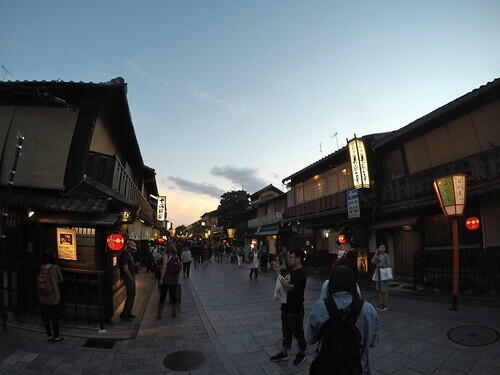 [Kyoto, Japan] ~ Temples and Alleys | I am no travel planner. 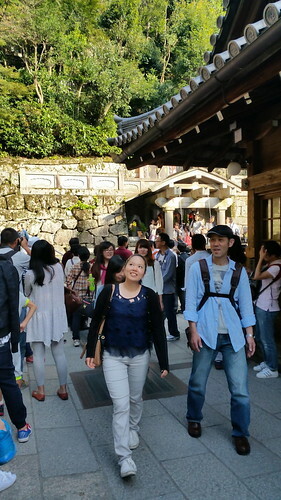 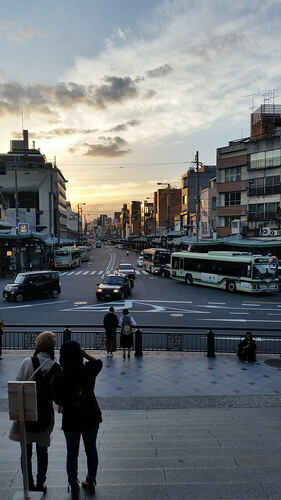 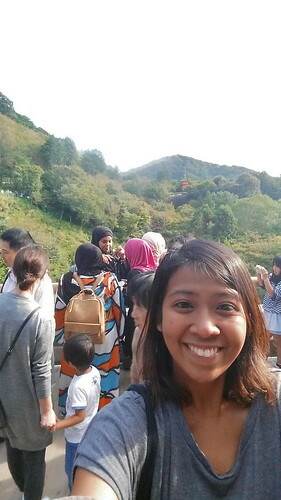 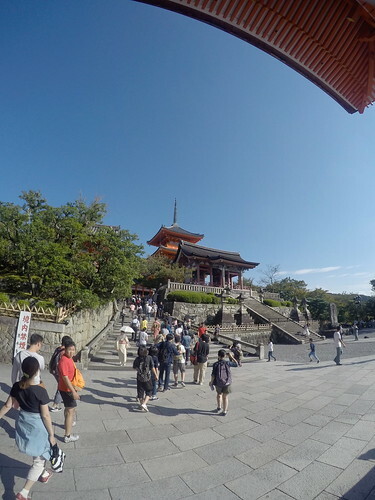 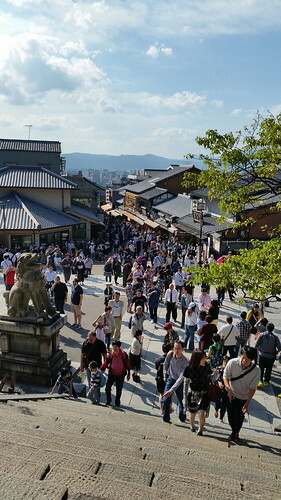 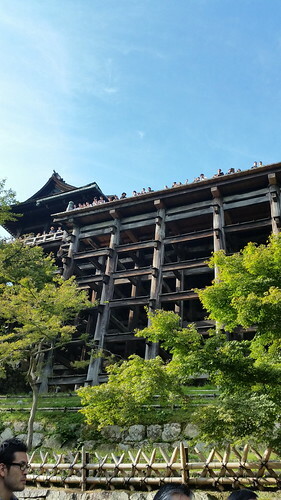 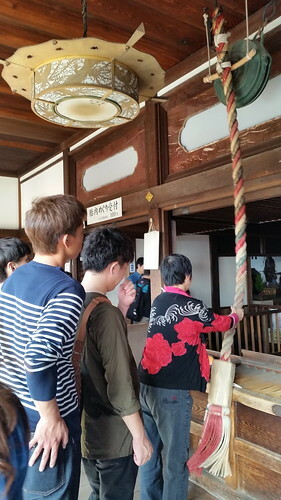 Afternoon was then for braving the people on the shopping slope on the way to KIYOMIZU-DERA – spot I would want to go back to during season when I feel it would be loveliest. 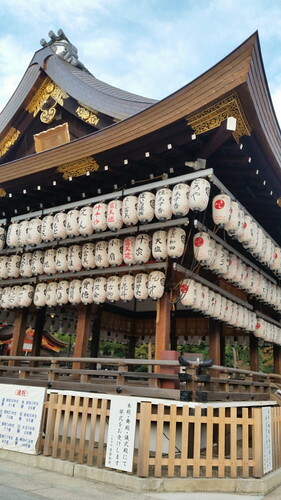 With a can of beer walked my way back until this discovery of another shrine (name to this date a mystery) and while in search of GION, this shrine (apparently called YASAKA) where I tried those fortune sticks on love. 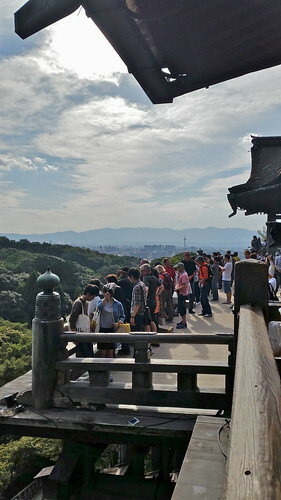 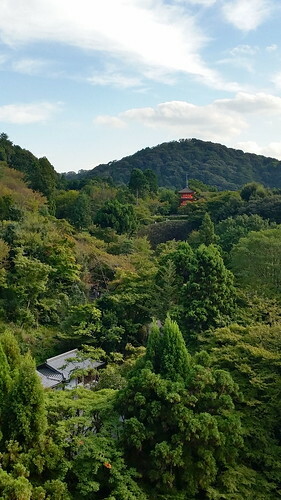 Right outside the shrine is a pleasant surprise – view not of the typical temples, but of city in the beat I personally feel it to be. 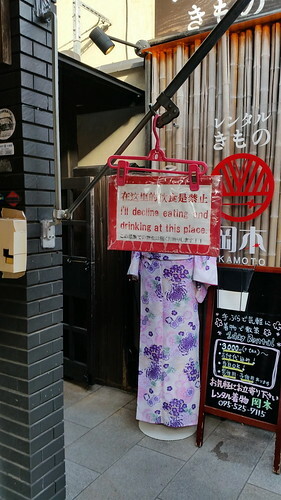 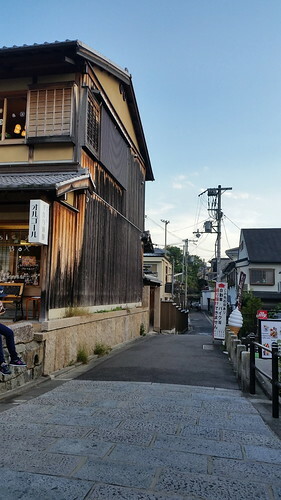 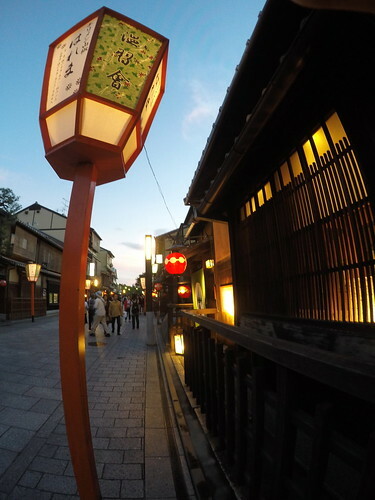 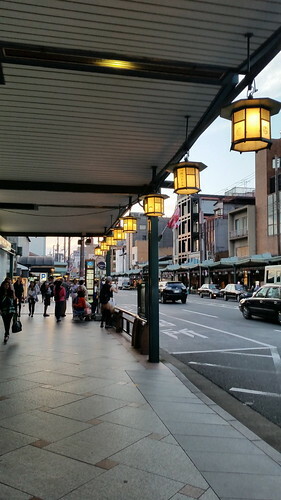 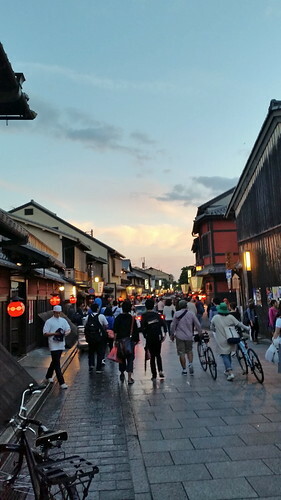 It turned out to be one toward a long strip for shopping called SHIJO – which in one side alley was this geisha district (apparently called HANAMI-KOJI) lined with traditional-looking restaurants. 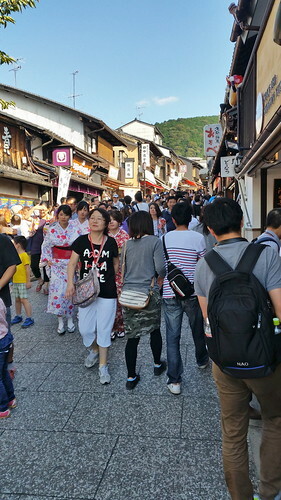 Meals were expensive though that most people were just walking (probably waiting to see geishas) and taking photos. 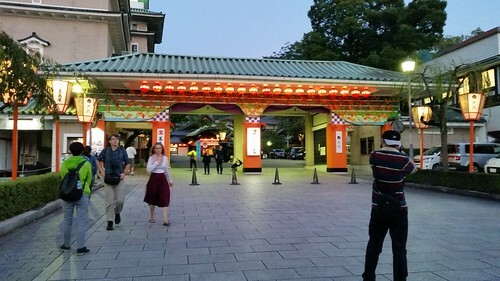 This happened a year ago that I can no longer remember how I got to this temple (and boo, I do not also have photos to show for it) but I remember walking uphill and walking past a crowded shopping district before reaching the temple. 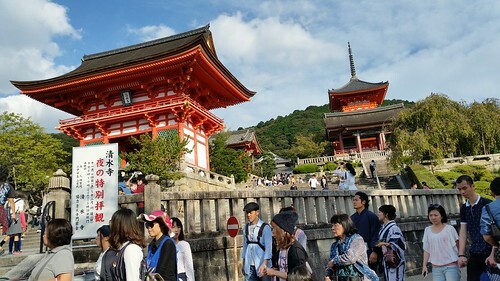 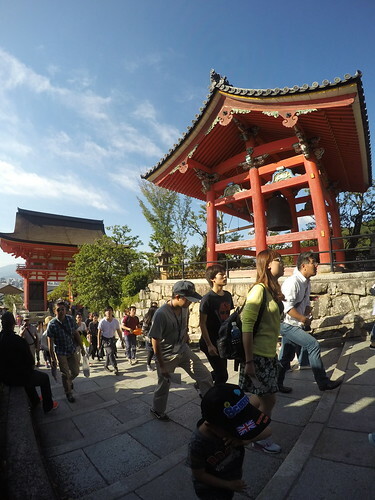 As also one of the more popular temples in Kyoto, there were also many people in Kiyomizu, including tourists dressed up as geishas. 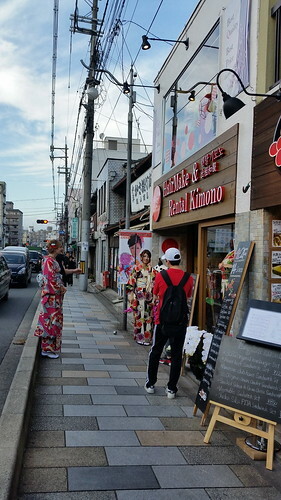 My walk later on that day would reveal shops nearby where costumes and make-up can be availed of. 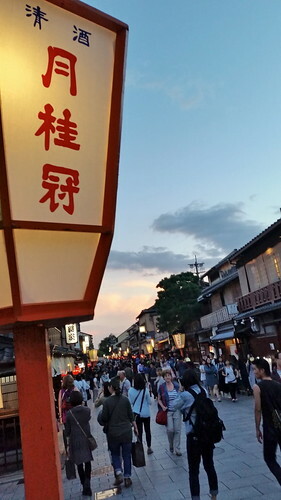 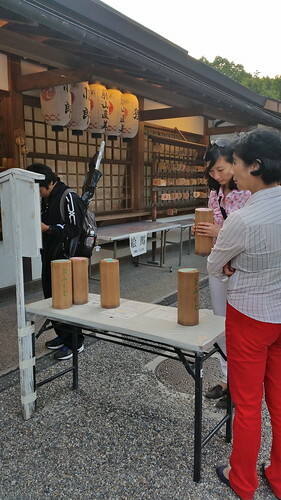 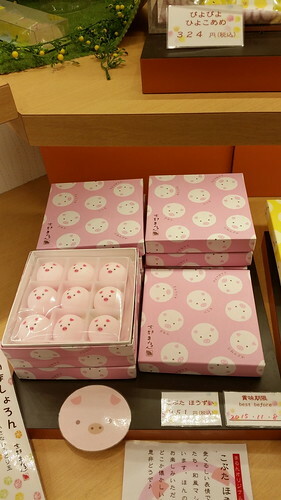 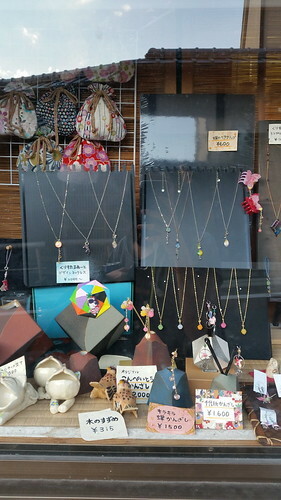 I joined the crowd again this time taking more time stopping by shops selling all kinds of Kyoto souvenirs. 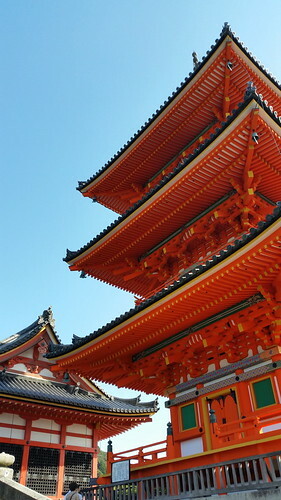 I guess I was too busy looking even that I do not have as many snapshots. 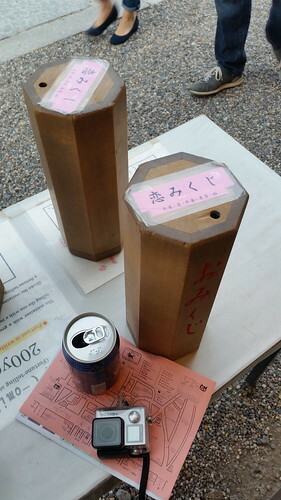 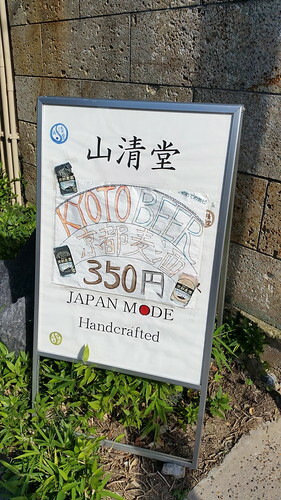 When tired, I dropped by that Kyoto beer stop near the entrance to the shopping alley. 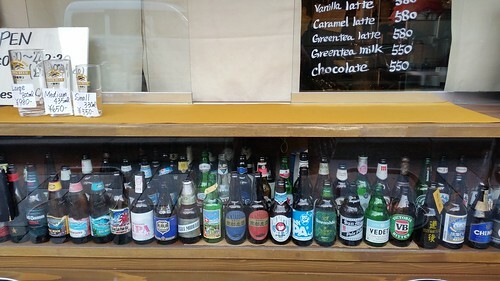 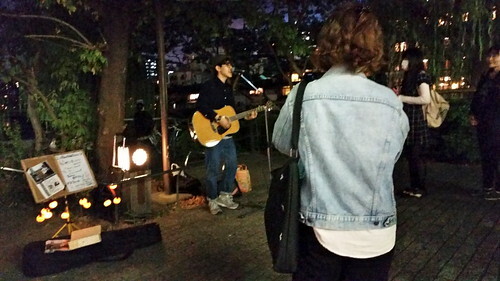 I thought it a cafe I could in but it ended up just a store so I had to drink my beer while walking. 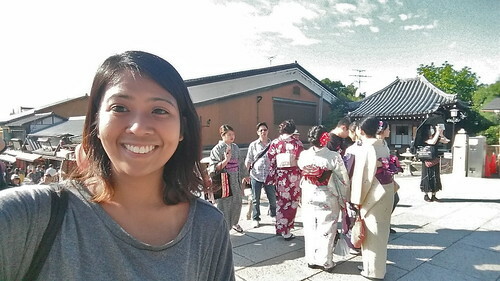 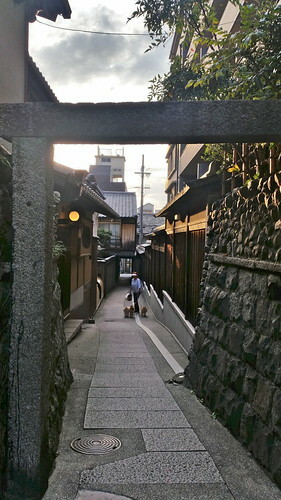 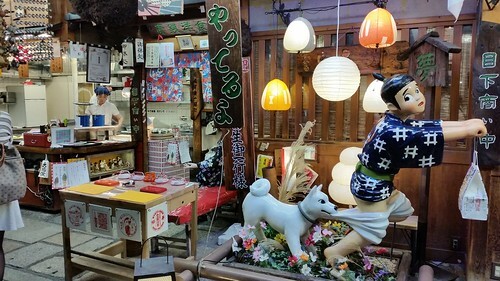 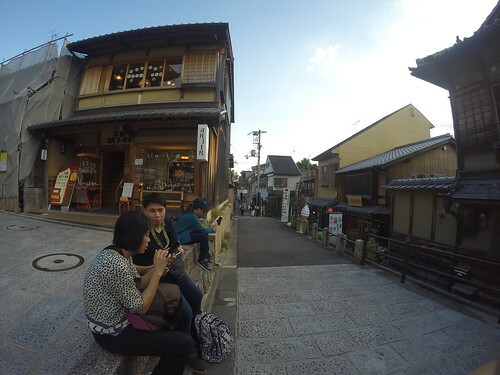 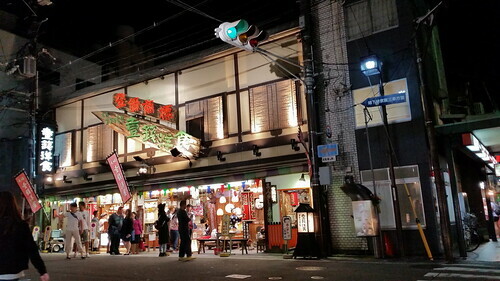 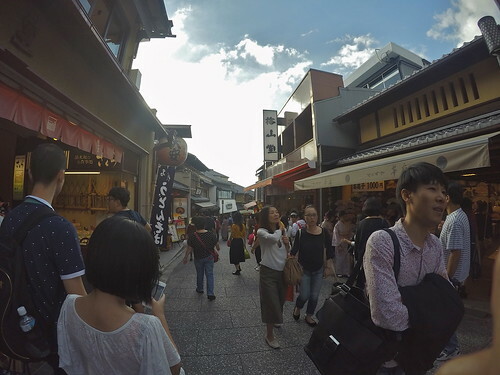 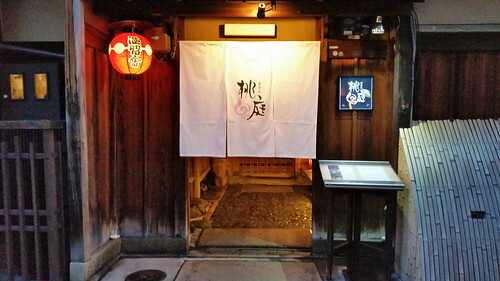 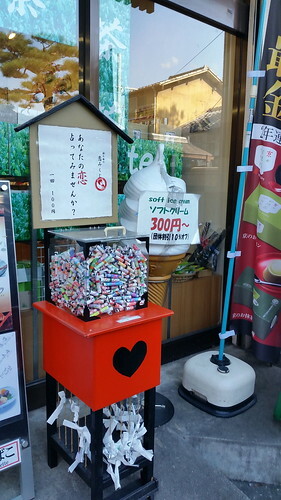 I was searching for the geisha district and on my way there, passed by a tourist center and some quiet alleys. 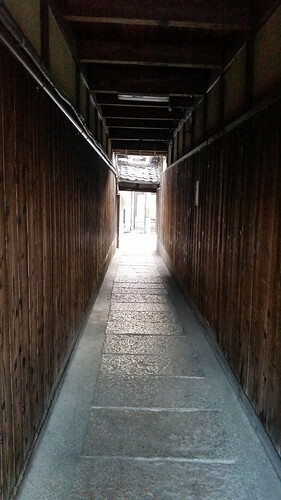 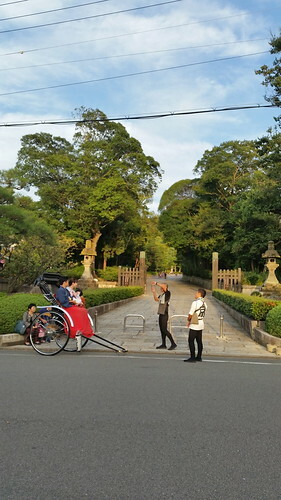 I could not know whether I encountered something of historical importance but the neighborhood itself has the smell of much history that it was some walk I enjoyed. 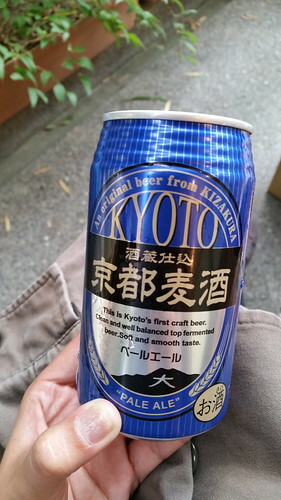 Perfect for that mid-afternoon. 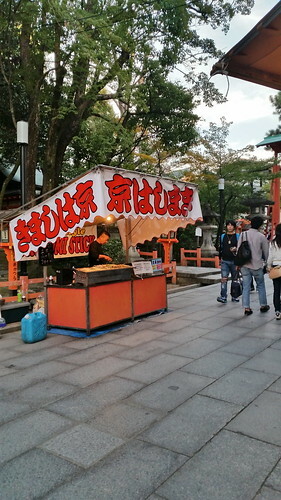 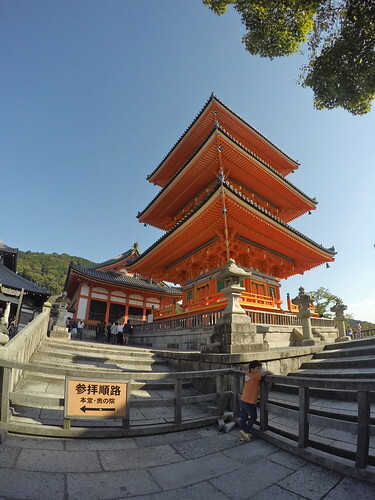 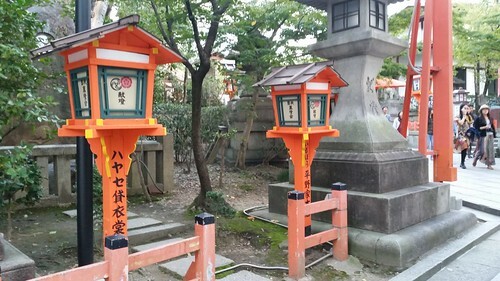 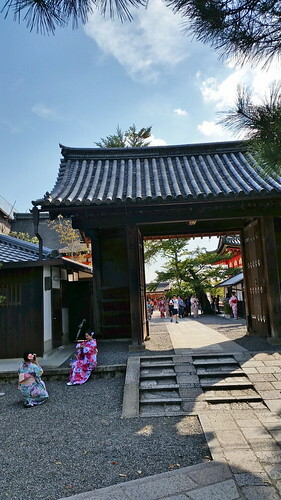 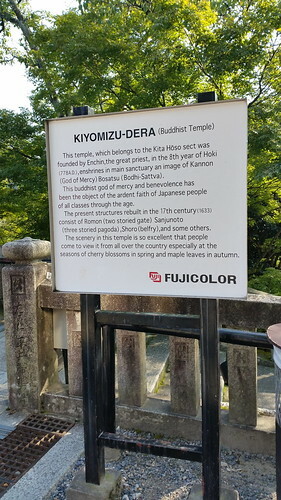 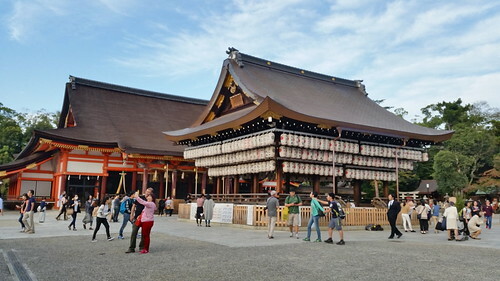 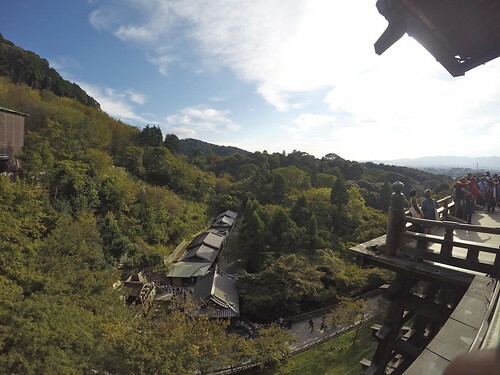 Further reading about this made me discover that I came across this shrine by accident as it is sandwiched between Higashiyama District (where Kiyomizu is) and Gion (where geisha district is). 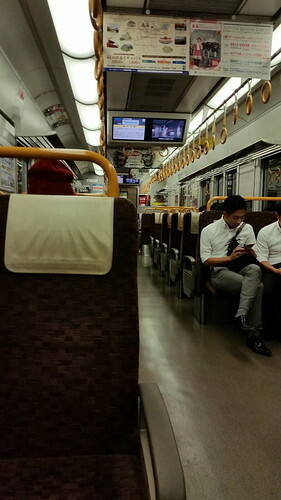 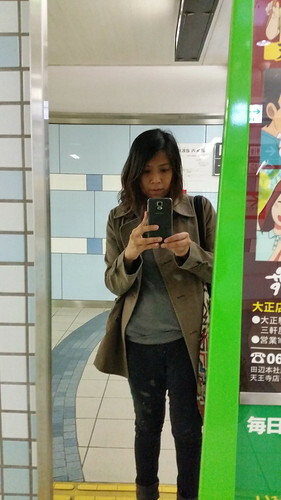 I was back in Osaka I was a little bit past 9, around 10PM in my airbnb home due to some getting lost at the Osaka loop line. 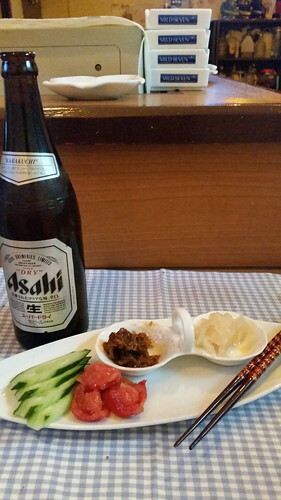 Day cap spent as solo customer in one of the hidden drinking places in the neighborhood, getting all those stamp and food freebies from the kind lady who I had this most memorable conversation in this trip. 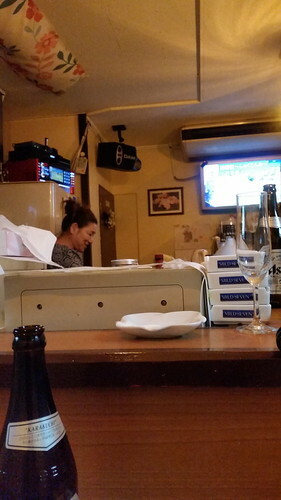 We were talking in totally different languages but it was one I actually enjoyed. 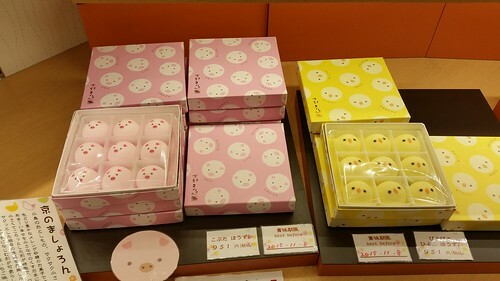 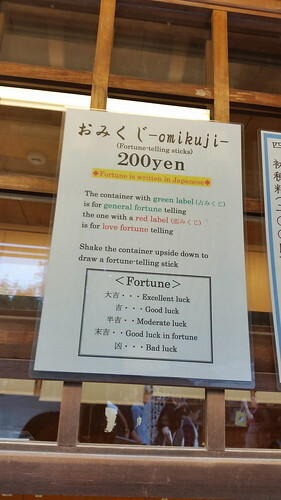 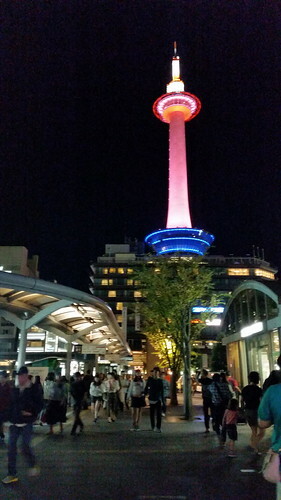 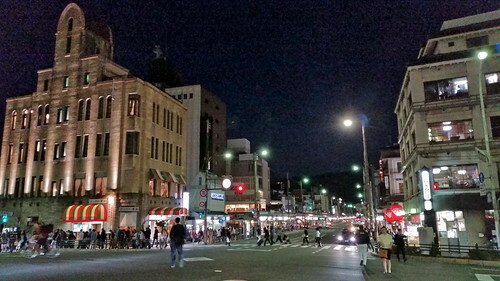 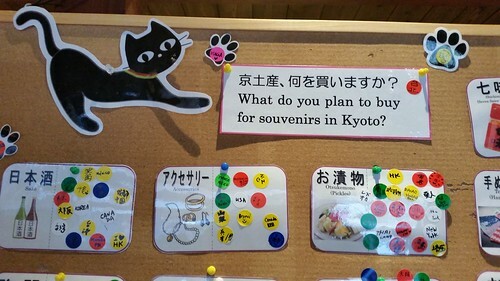 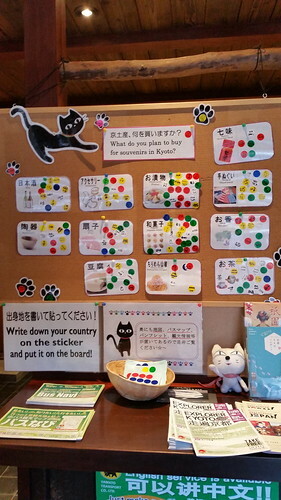 So planning to go to Kyoto? 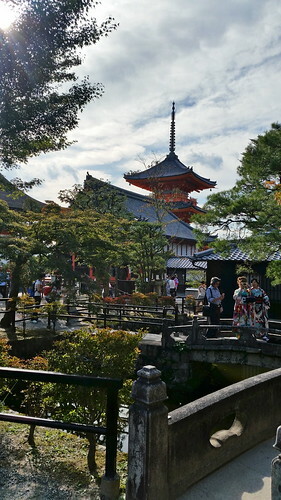 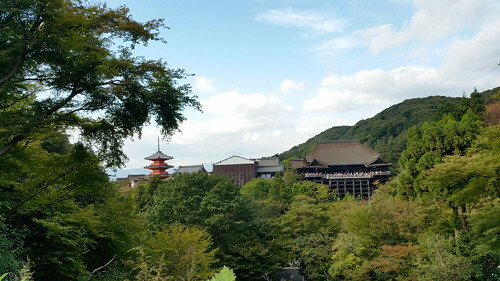 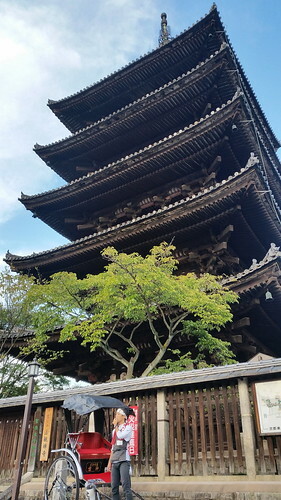 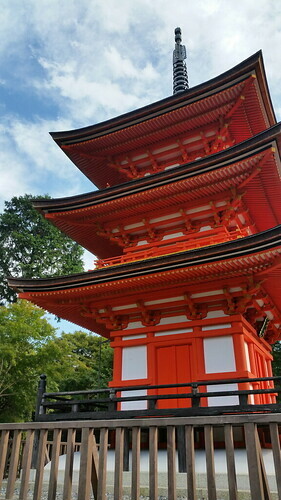 Unless there is only one or two temples you desire to go to, beauty of Kyoto cannot be explored in a day. 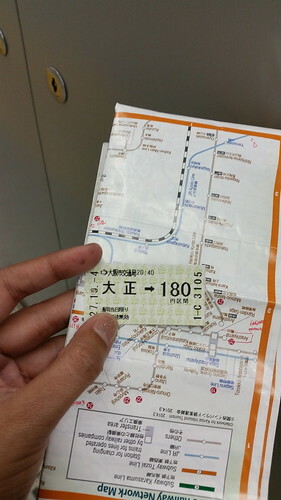 Railway may have its purpose but the bus routes are more extensive. 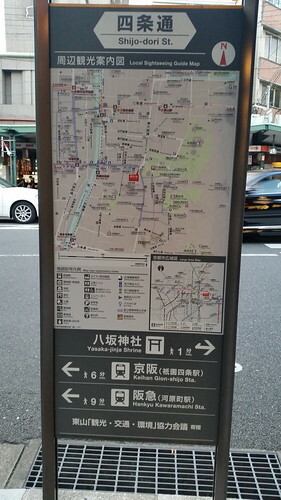 You may refer to this link for details on routes. 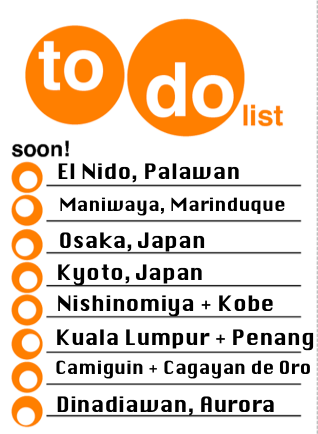 Some planning may have to be done. 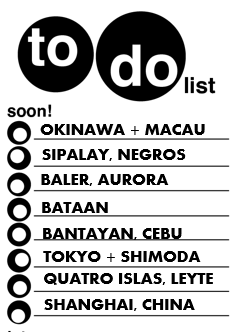 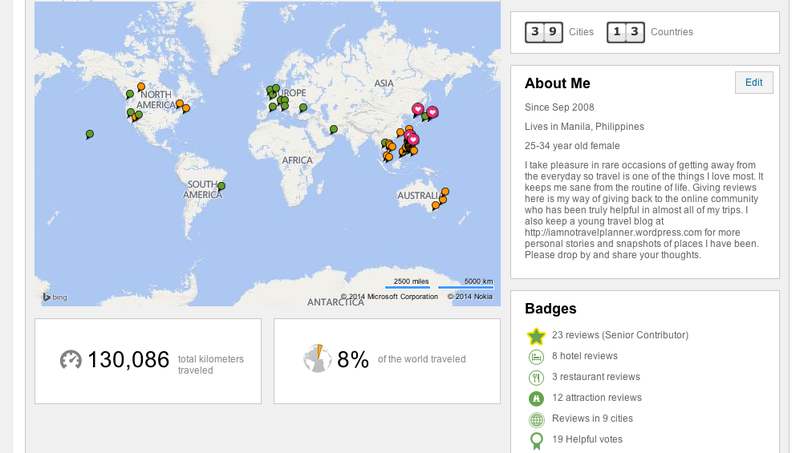 (Just so you don’t end up using precious time trying to understand the bus map just like what I did). 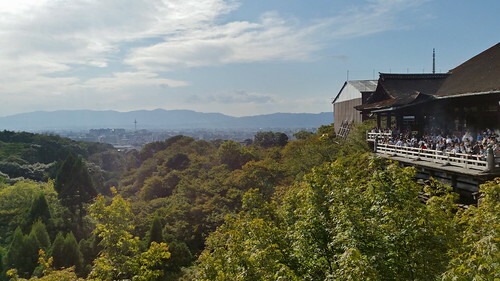 It also seems that there are seasons when sceneries in Kyoto are most beautiful for most. 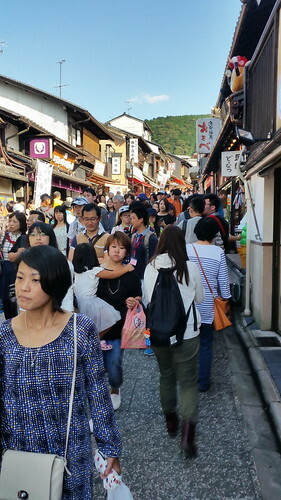 It is a matter of preference really but some seasons may be more preferred by others so expect crowd. 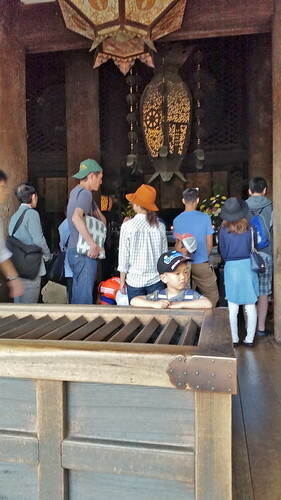 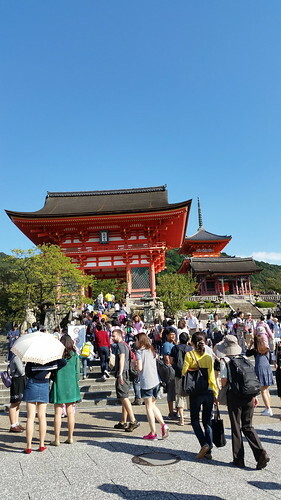 (I was there not during peak season but had my share of tourists already so I can just imagine how those temples look during peak). 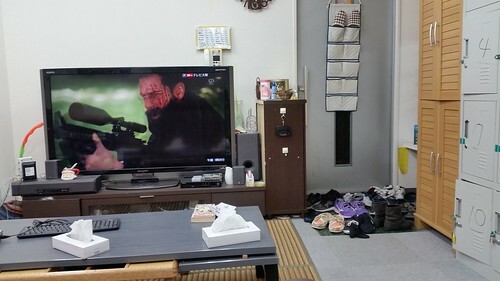 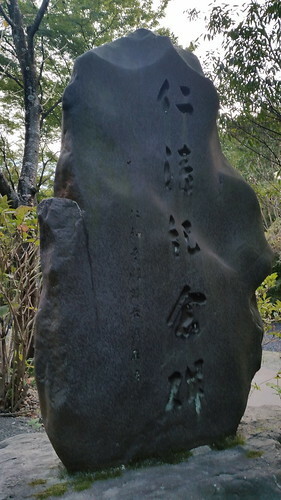 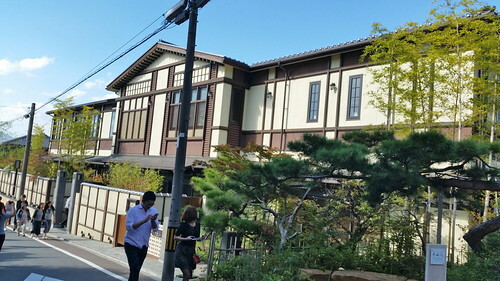 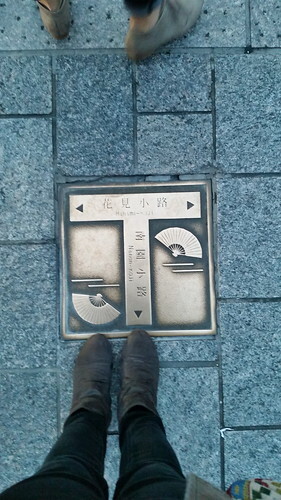 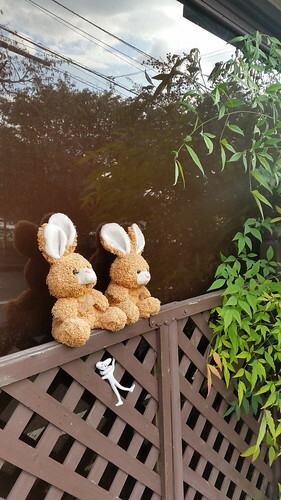 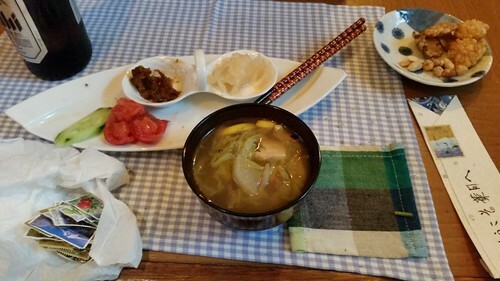 Pingback: [HYOGO, JAPAN] ~ Where he lived | I am no travel planner.